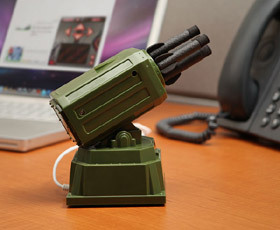 This toy rocket launcher plugs into your computer via USB. Use the included software to aim and fire missiles. It can fire missiles at targets up to 6 meters away.